Looking for a new Instant Pot recipe? 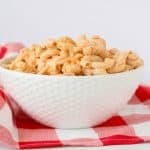 This Instant Pot Mac and Cheese is so tasty and the best part is it cooks up in under twenty minutes! Talk about a quick and easy dinner idea that the whole family will enjoy. 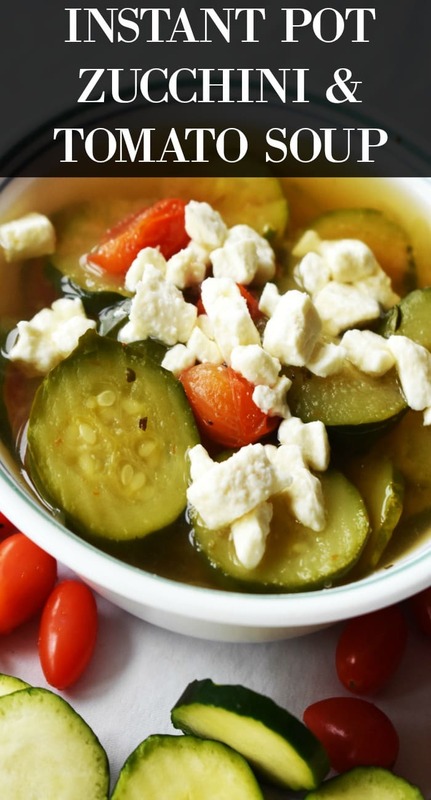 This dish is one of my go-to recipes when we have football or tumbling practice. I’m sure any busy parent can relate to trying to get dinner on the table and get kids to practice on time. One of my favorite things about this dish is it tastes great as is but you can also add different toppings to it. I love adding bacon and jalapenos to it. Yum! If you want another yummy dinner idea, try my instant pot shrimp recipe. Cook your macaroni according to the package directions. Drain and place in the Instant pot. Add the cream cheese, soup, sour cream and half of the cheese and stir well. Set the IP to manual mode for 5 minutes, then quick release. Remove the lid and stir in the remaining cheese, then season to taste with salt and pepper. 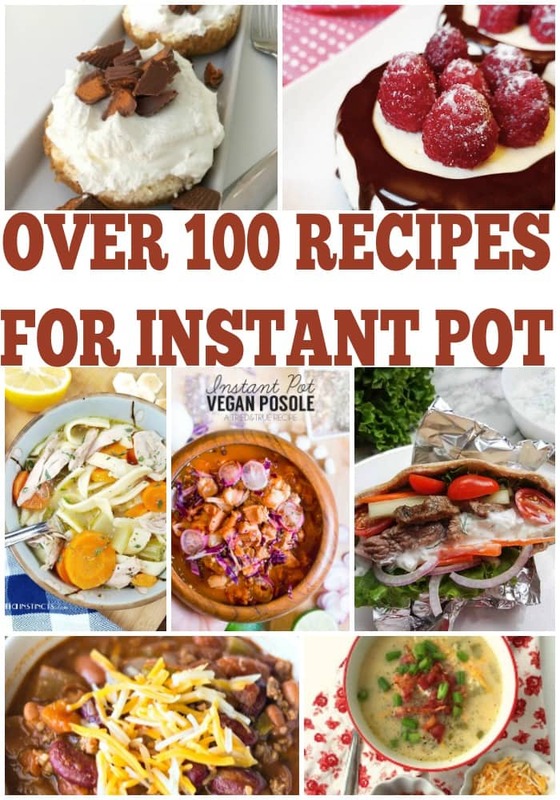 Here are some of my favorite Instant Pot Cookbooks! 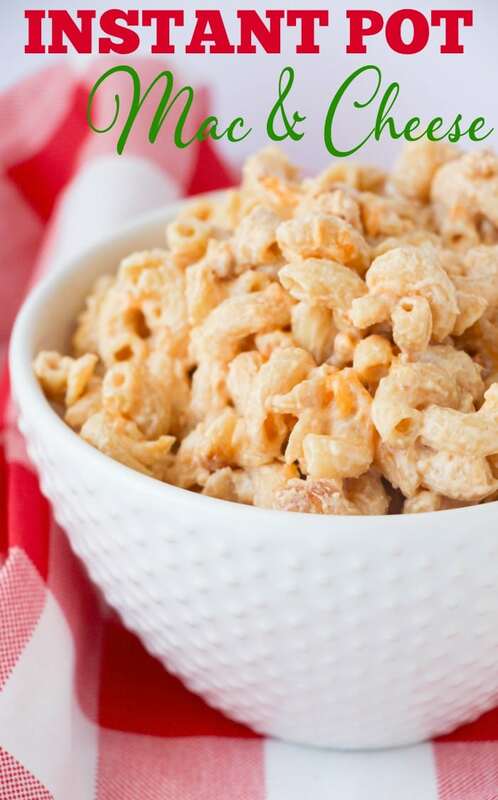 If you enjoyed this recipe, check out some of my other Instant Pot Recipes! Just wanted you to know that I featured this as part of a weeknight meal ideas round up from ideas from the create link inspire party. Thanks for joining in on the party with us! Looking forward to trying this recipe!